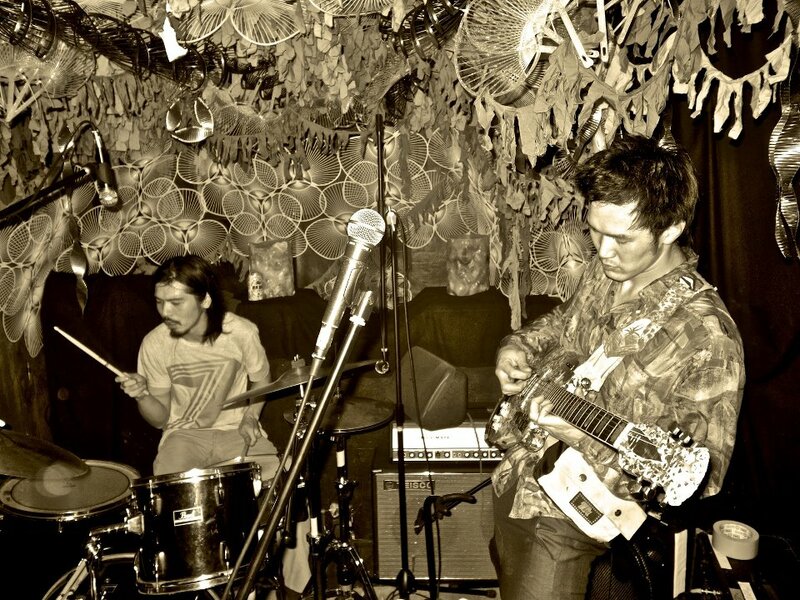 This Japanese noise-rock duo pursue the true form of punk-rock long buried in the history of punk-house basements worldwide. Stripped-down guitar and drums combine Z-rated melodies with polyrhythmic splatter. Their chaotic overflow deconstructs the ordinary with method and control, creating their own, mathematically twisted world. Forming in 2002 and roaring through the US, Mexico, France, and Serbia—2UP’s sweat-drenched twitched shivering 30 minute sets express Tokyo’s outrage and recall the lost art of punk-house energy. New cassette featured on Braindead Records x AIAIAI headphone collaboration in 2018. 2008 East Coast Tour with The Vaginals, Who is your favorite son god?